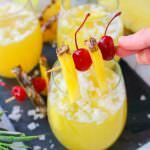 Just four ingredients are all you need to make this incredible frozen peach bellini! Slushy, fruity, and perfect anytime you’re in the mood for sipping a fantastic champagne cocktail. Summer in Virginia is always hot. Not only is it hot, but the mid-Atlantic humidity creeps up to unbearable levels, especially in July and August. 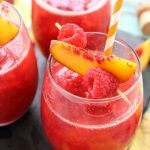 So as soon as these dog days of summer hit, I immediately want an icy cold cocktail like this frozen peach bellini! 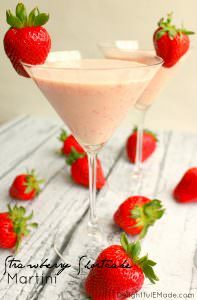 Not only is this delicious frozen cocktail super quick to blend up, it requires just 4 ingredients making it super-easy and just minutes to make! 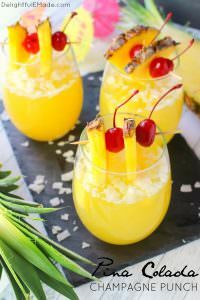 Much like my Pina Colada Champagne Punch, this frozen cocktail is made with your favorite sparkling wine. 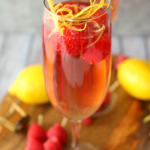 It’s a great way to add a little extra sparkle and fizz to your favorite summertime drink. 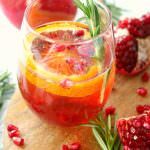 You can utilize your favorite Moscato, Prosecco, sparkling wine or Champagne. 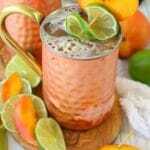 This super simple frozen peach bellini comes together in a snap. 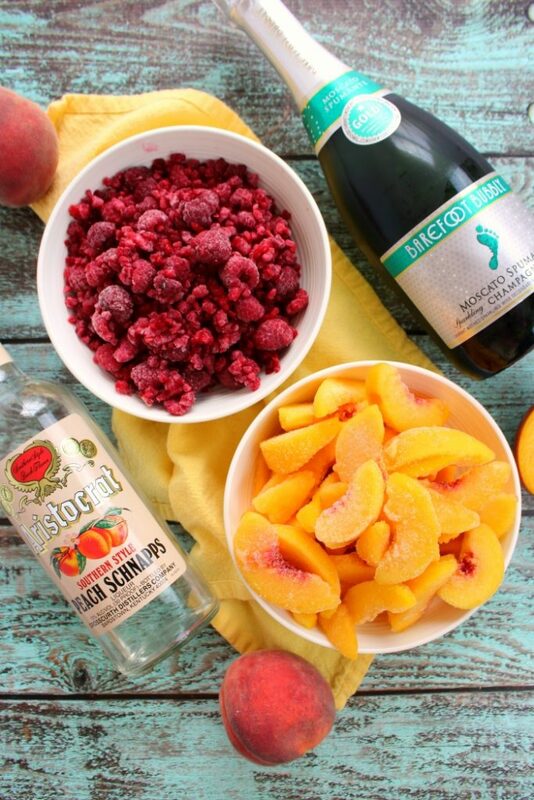 The four ingredients you’ll need are frozen raspberries, frozen peaches, peach schnapps, and a bottle of champagne, prosecco, moscato or any type of sparkling wine. Keep the fruit frozen and the liqueur and champagne chilled until ready to blend. This will ensure you get an icy cold cocktail. 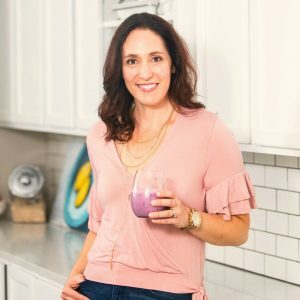 This simple cocktail comes together as quick as adding all of your ingredients to the blender. As for the champagne, just add half of the bottle. Reserve the remaining half to top off the cocktails just before serving. Blend the ingredients until smooth. 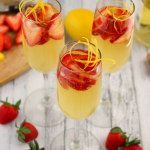 Once you’ve pureed the fruit, liquor and champagne, pour into wine or champagne glasses. You’ll have enough for four large cocktails. 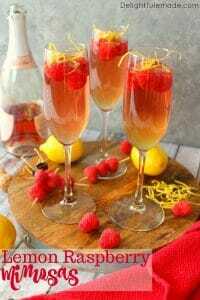 After pouring the fruit puree into the glasses, top off the cocktails with the remaining champagne. 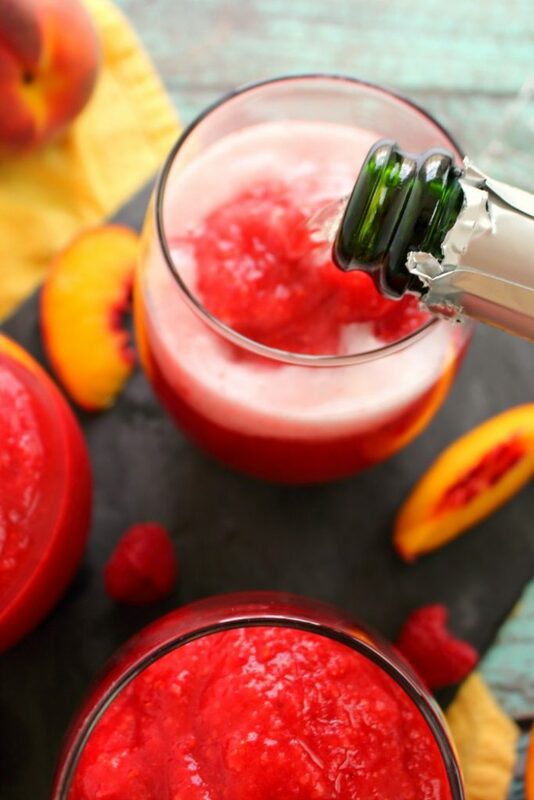 The perfect way to add a little extra sparkle and fizz to your frozen peach bellini! 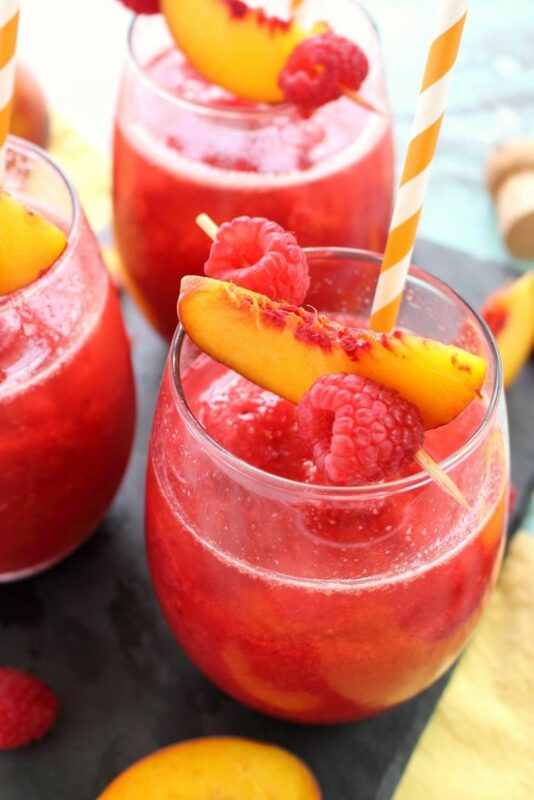 Add some fresh peach slices and fresh raspberries to cocktail skewers or toothpicks, and add to the top of the cocktails. 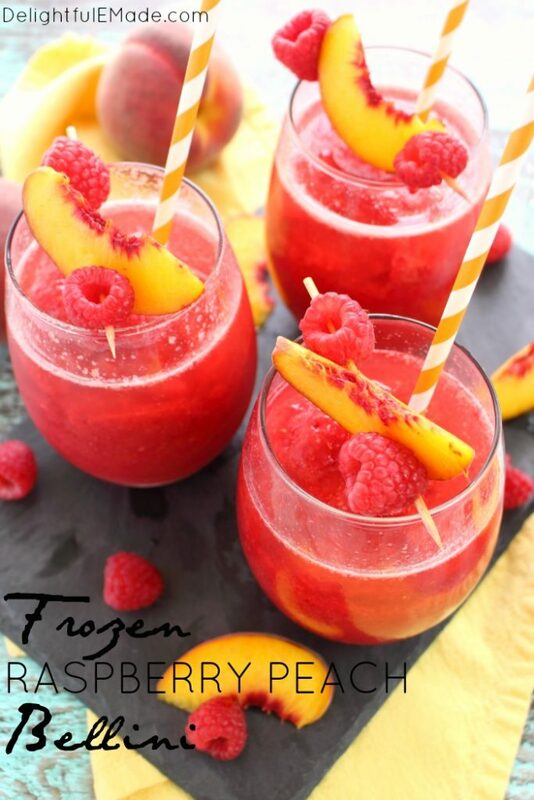 It’s a lovely way to add some extra color to these already fruity frozen drinks. 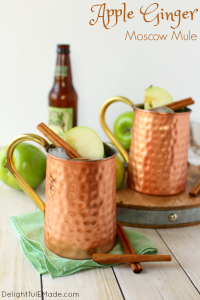 Serve and enjoy right away – you’ll want the cocktails to be as cold and slushy as possible. The perfect way to beat the heat during the dog days of summer! 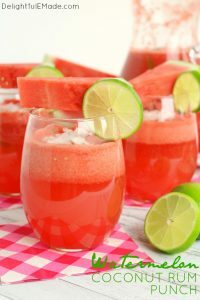 Simple, easy and completely refreshing on a hot summer day. 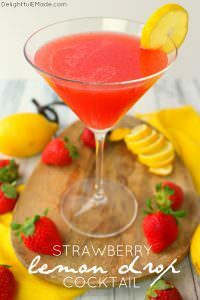 This cocktail is fantastic for sharing with your girlfriends or sipping on the patio or deck after a long day. 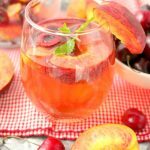 You’ll quickly discover that this easy frozen peach bellini will be your new favorite summertime drink, and perfect for cooling off on the hottest of summer days. 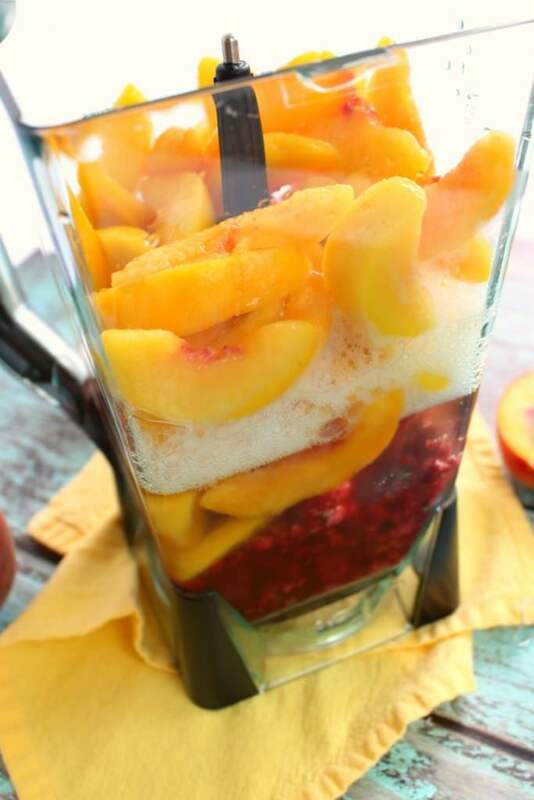 In a blender, add the frozen raspberries, frozen peaches, peach schnapps and 1/2 of the bottle of Moscato. Blend until completely pureed. Pour into wine or champagne glasses, and top off each glass with the remaining Moscato. Enjoy right away. 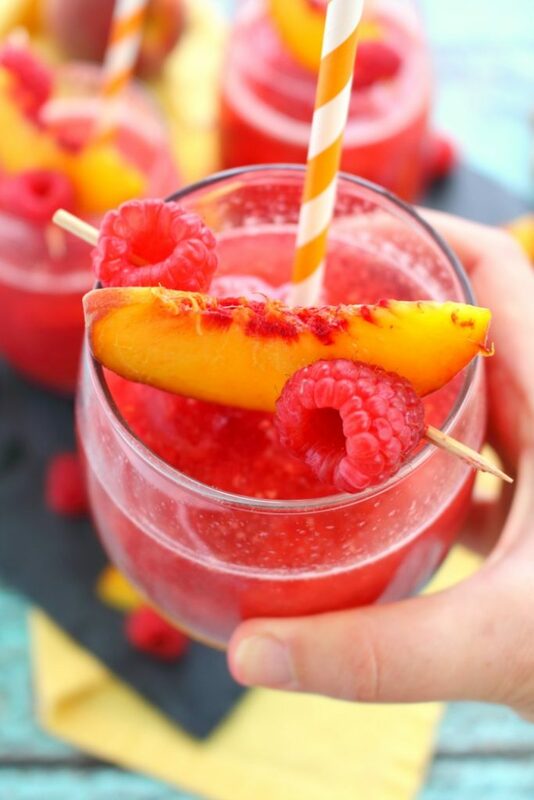 Just four ingredients are all you need to make this incredible frozen peach Bellini! Slushy, fruity, and perfect anytime you're in the mood for sipping a fantastic champagne cocktail. Looks like a wonderful Sunday afternoon treat! Thanks for sharing at the What's for Dinner link up! 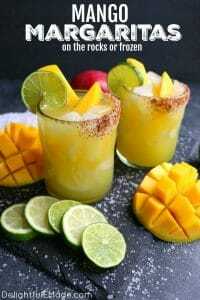 I'll have one please :D This looks so yummy and refreshing!